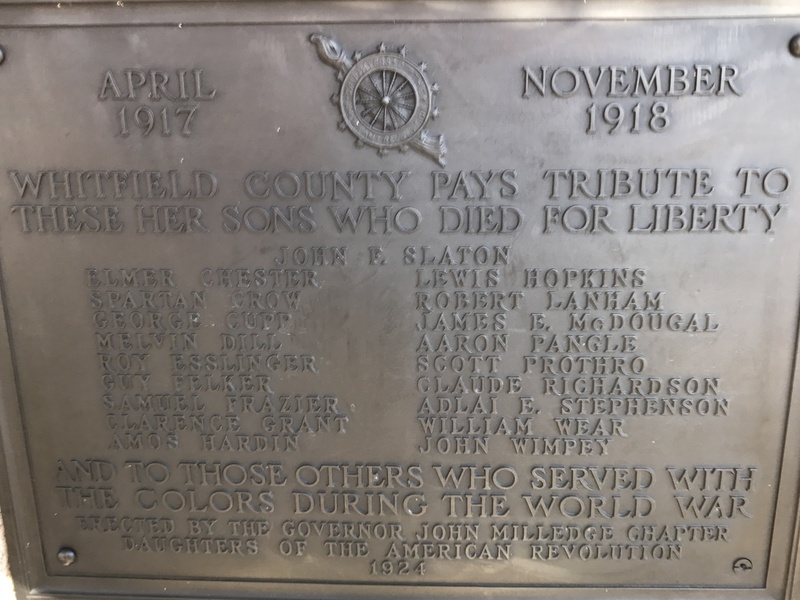 The Whitfield County World War I Memorial comprises a rectangular bronze plaque affixed to a rough-hewn granite slab with a polished front face. The plaque, which features the DAR symbol at top, lists in alphabetical order, without rank, the names of 19 men from the county who died in service. 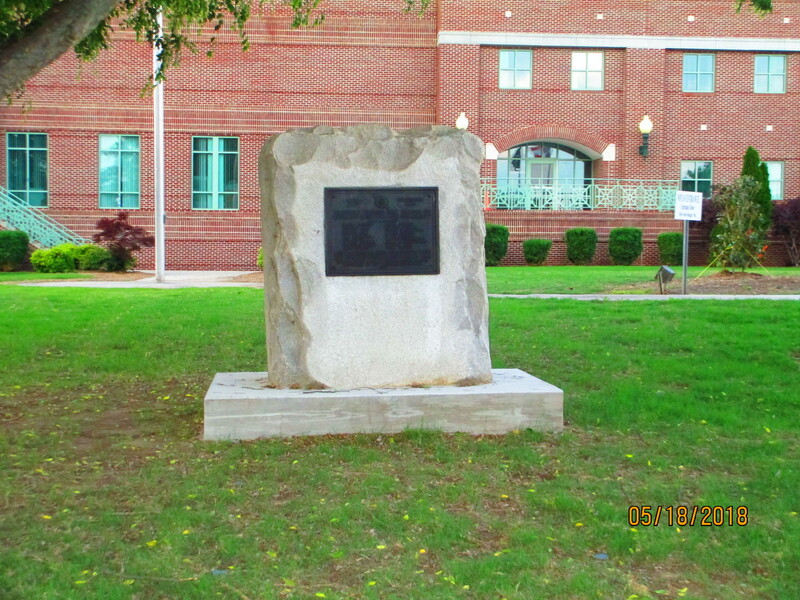 Sponsored by the Governor Milledge Chapter of the DAR, the memorial was dedicated on July 4, 1924, at the old post office on Hamilton Street in Dalton, Georgia. 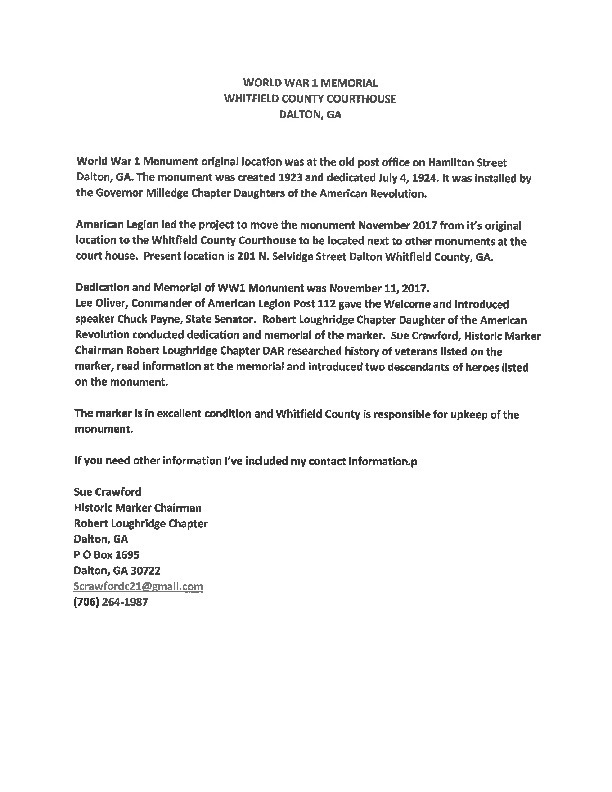 The American Legion spearheaded the 2017 campaign to relocate the memorial from the old post office to the grounds of the Whitfield County Courthouse, where other memorials are gathered. The memorial was rededicated at this new location on November 11, 2017. See the attached pdf for information on the servicemen listed on the plaque and for the 2017 rededication program. 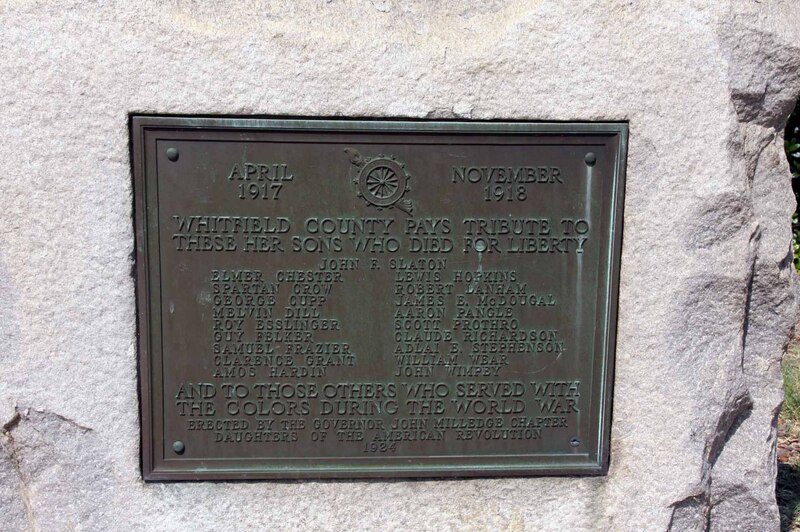 Whitfield County Pays Tribute To /These Her Sons Who Died For Liberty.